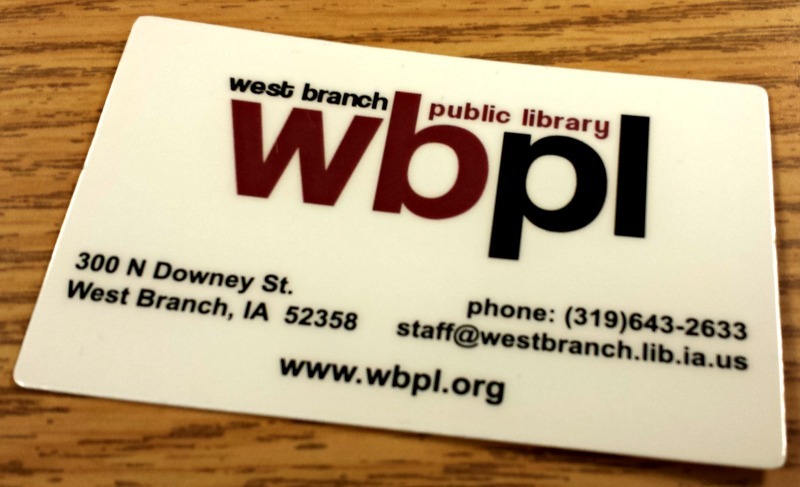 The West Branch Public Library offers library cards to all residents of West Branch, Cedar County, and the state of Iowa. All these card holders may borrow all physical items in the library including books for all ages, DVDs, music and audiobook CDs, Cricut cartridges, and cake pans. Residents of West Branch and Cedar County are eligible to use their account to access Bridges, the library’s online ebook and electronic audiobook collection. Residents of Iowa not residing in the physical limits of West Branch or Cedar County are required to use their home library’s electronic collections, if available. *Those outside of West Branch city limits and unincorporated portions of Cedar County will have to contact their direct service libraries for access to ebooks/Bridges.